Upgrade Your Style: Top 6 Marble Accessories! – Style Dr.
Upgrade Your Style: Top 6 Marble Accessories! Cheers to Wednesday! Have you noticed that marble accessories are popping up everywhere? I must admit, it’s quite the stylish trend. Marble has a very crisp and expensive look, which catches the eye. Plus, I love that each slab of marble is unique in its features and design. I first fell in love with marble when my mom purchased a gorgeous & very heavy large marble dining table a few years ago, it’s so unique looking and the way the table is cut is very edgy! The table is so beautiful that it looks more like a piece of art than a table to dine on! While marble is usually known to highlight various home interiors, today I’ve spotted a few ways to incorporate marble into your life in the form of accessories! I’m sure you’ll look absolutely marble-ous with these eye-catching accessories! Haha! Enjoy! The White Marble 3pc Hardside Spinner Luggage Set will definitely stand out from the crowd once it stylishly makes its way down the luggage carousel at the airport! I promise, you’ll spot it immediately, because you’ll be the only one with such a stylish print! 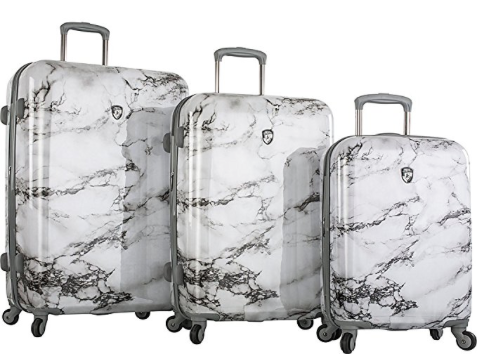 The luggage is also available solo in 30′ Hardside White Marble Spinner & as a 26″ Hardside White Marble Spinner! 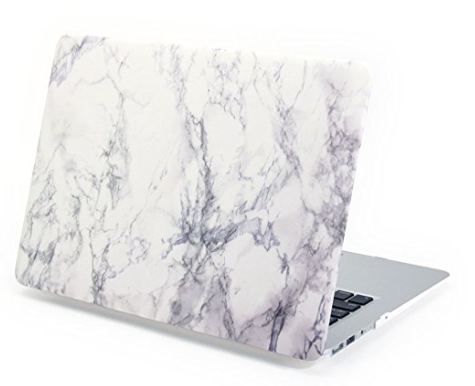 Why not add a bit of marble style to your laptop, it’s such a unique accessory & you’ll look stylish while online! The case & marble skin is available in a variety of sizes: Marble Pattern Rubber Coated Shell Notebook Case Skin Cover White for Macbook Pro 15″ , Marble Pattern Rubber Coated Shell Notebook Case Skin Cover for Macbook Pro 13″ or 13″ Matte Rubber Coated Soft Touch Plastic Hard Case for MacBook Air 13 inch Model A1369 and A1466 White Marble! 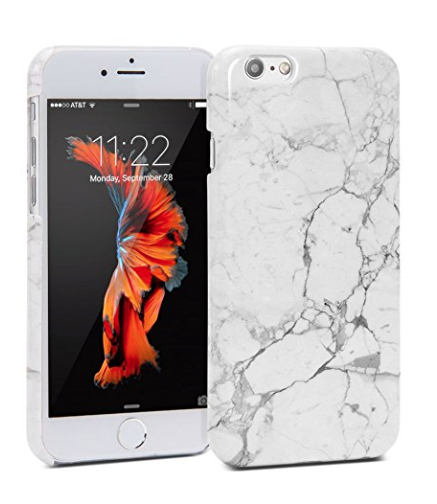 The iPhone 6 Case, Snap Cover Glossy White Marble II Pattern Slim Hard Back Case will be quite the eye-catching accessory to give your conversation a bit more style appeal as you hold such a unique piece in your hand & chat away and/or as you scroll through social media! 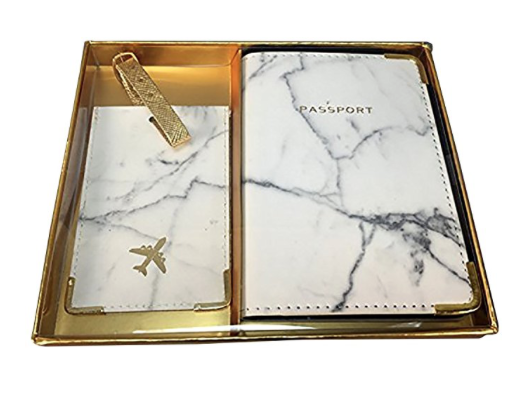 The World Traveler Journal Faux Leather Marble Passport Holder and Luggage Tag Set is a cute gift for the jet-setter or the world traveler in your life! They’ll definitely be traveling in style & what a great way to keep your travel documents at hand! 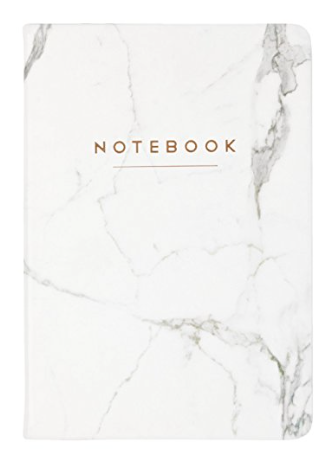 The Eccolo World Traveler 6 x 8″ White Marble Notebook Style Journal is a perfect gift for the marble-lover to write down their thoughts, to-do list or maybe even to sketch in! 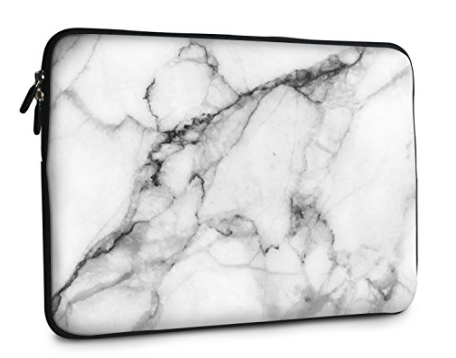 The 13′ Macbook Pro White Marble Laptop Case is a stylish way to carry your laptop as well as keep it safe & secure in all of its waterproof, weather-resistant neoprene glory! Score! ‹ Previous12 Ways To Growl Into Winter Wearing Leopard Print! Next ›Style Dr. : What To Wear on Valentine’s Day!